Castle Pines is a well known area formerly located in Castle Rock and is comprised of the gated community of The Village of Castle Pines and a larger community to the north known as Castle Pines North. Incorporated in 2008, the The Village of Castle Pines and Castle Pines North communities are now a part of the City of Castle Pines. The Village of Castle Pines is one of the most coveted neighborhoods in Colorado and boasts panoramic views, heavily wooded forests and is home to two world-class golf courses - Castle Pines Golf Club and The Country Club at Castle Pines. In addition, Castle Pines Village offers its residents tennis, swimming, and fitness facilities, plus an extensive network of hiking, biking and nature trails. Located just 15 minutes from the Denver Tech Center, Park Meadows Mall and Sky Ridge Medical Center on the north and the shopping and restaurant districts that the town of Castle Rock has to offer on the south, Castle Pines offers mountain style living within the city. 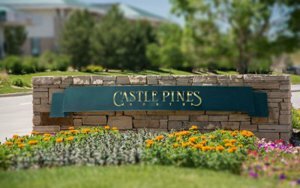 If you are seeking premier real estate in a great location, the Castle Pines communities are best to include on your list.